At the time of the US invasion of Iraq the Crown Prince of the UAE requested that Washington bomb Al Jazeera so that the Arab world would not be inflamed by truthful reporting of the US attack on Iraq. In April 2003 Al Jazeera’s Baghdad office in Iraq was struck by a US missile, killing one journalist and wounding another. Of course, Washington claimed it was just a mistake. Qatar also hosts the largest US military base in the Mideast. This fact makes the list of demands or else that Saudi Arabia has handed to Qatar perplexing. Essentially, the Saudis accuse Qatar of “supporting terrorism” because the Emir permits Al Jazeera to tell the truth. The second demand on the list is that Qatar close down Al Jezeera. 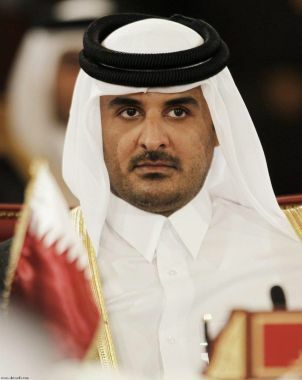 The Emir is proud of Al Jazeera, and he should be. On the other hand Qatar shares a land border with Saudi Arabia. But the Saudis are bogged down as Washington’s proxies in a war with Yemen. Does Saudi Arabia want a second front? What would Washington’s response be to a Saudi attack on a country that hosts Washington’s largest military base in the Middle East? Still, Washington hates Al Jazeera. So, can we expect that Washington will pressure the Emir to comply with the Saudi demand? What if the Emir instead ordered Washington out and installed the Russians, or the Iranians with whom the Emir is on speaking terms? If the Emir could evade the CIA assassination attempts, he could single-handedly change the course of history.